contribute money Daily, weekly, bi-weekly or monthly. member of the club on a agreed date and time. To help a family or friend in need of a helping hand. effective for your unique needs or diagnose your particular medical history. Are You Ready For a New Body? If there is a heart condition DO NOT DRINK ALL 16oz or 8 oz. Olive Oil. 6. Do not eat or drink anything until after you have had enough bowel movements and you feel hungry. 1. Eat at least 80% Raw Fruits in the A.M.
2. Eat at least 80% Raw Vegetables in the P.M.
Option (If you are not taking the olive oil with the CKLS take 10 CKLS the first day and then take 2 CKLS and 2 oz. of Olive Oil @ Bedtime . 6 pm- 4 am …………………………………. Do Not Eat or Chew!! the body and rebuild cell tissues. 1. Peel several Ripe Bananas and place them in a zip lock bag. 3. Place a banana or two in the blender. 4. Add unsweetened fruit juice and your favorite fruit. 2. Add your favorite vegetables and seasonings. Remember Add a Little and Taste as you go…. Take water everywhere you go! inferring with your health provider program. besides adding oodles of taste to the food. infections. This is important in boosting the body’s immunity. 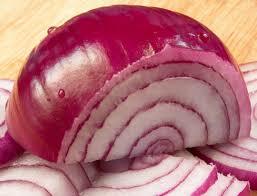 Red onions have since time immemorial been used to treat inflammations and infections as well. triggers the so called Cardiovascular Diseases (CVDs). affected area and you will experience immediate relief from the burning sensation.